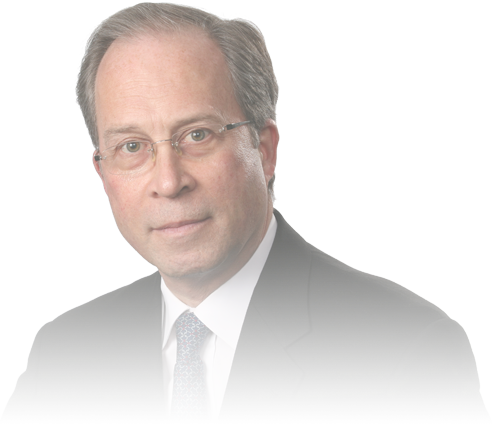 Cults Inside Out provides a practical and accessible synthesis of both relevant research and working experience regarding destructive cults. It carefully connects and footnotes the most relevant and meaningful research. This 584-page book includes more than 1,200 research footnotes with an 18-page bibliography and 15 page index. Cults Inside Out contains accounts of those affected by some of the most horrible cults in modern history. There are chapters about large, organized groups as well as about small but deadly cults. These historical chapters reflect the diversity and disturbing behavior of destructive cults. It is this history that demonstrates so vividly the cause for concern about cults. There are also chapters devoted to certain hi-profile controversial groups such as Falun Gong and Scientology and to the subject of large group awareness training used by companies such as Landmark Education, Lifespring and the notorious criminally convicted “sweat lodge guru” James Arthur Ray. There is also a chapter about the cult-like aspects of abusive controlling relationships. One chapter within Cults Inside Out is specifically devoted to defining a destructive cult, which has generated considerable debate over the years. Some scholars say that any attempt to put forth a definition is pejorative. However, within the chapter “Defining a Destructive Cult” the nucleus for a definition of a destructive cult is explained in detail. This nucleus is based upon a specific set of objective criteria, which encompass the most common features and core characteristics found within all groups that have been considered destructive cults. These practical criteria are based upon behavior, not beliefs. 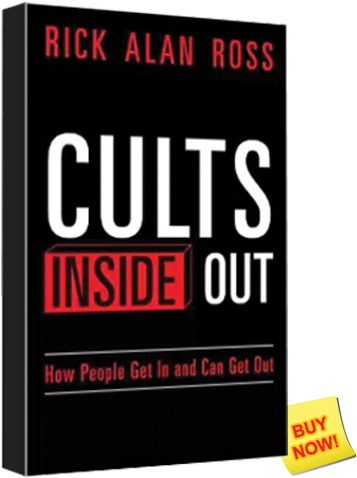 Cults Inside Out also delves into the much debated subject of “cult brainwashing.” That is, how do groups called “cults” control people? A chapter in this book focuses on the existing body of research, which explains the process of cultic manipulation and control. The same process we can see in the context of large organizations called “cults” is also used by smaller groups. There is also evidence of similar manipulation in abusive, controlling relationships and in families that behave like cults. Some multilevel marketing companies and large group awareness training seminars have also employed a similar blend of coercive persuasion techniques to gain undue influence and control over people. Cults Inside Out breaks down the cult intervention process into simple, easy to understand blocks. Each of these blocks include specific categories of inquiry and corresponding dialog. One chapter in the book explains the history of cult intervention work and how the process of so-called “cult deprogramming” was developed. The description of how a cult intervention works is sufficiently detailed to enable the reader to fully understand its elements. Cults Inside Out is a step-by-step guide, which leads the reader through a process of evaluation and response to a cultic situation. There is a chapter devoted to initial assessment and another focused upon ongoing coping strategies. There are also chapters about the preparation necessary for an intervention and another explaining in-depth the intervention process itself. Each chapter serves as a potential template and practical guide, taking the reader from the initial point of identifying a possibly harmful cultic situation to the use of relevant research and practical tools to effectively address concerns that may arise. There is also a chapter about moving on and recovery after a leaving a destructive cult or cultic situation. There are chapters within Cults Inside Out that specifically recount actual cult interventions. These case vignettes include an array of groups, which vividly illustrate the fact that groups called “cults” may appear in many forms. Destructive cults often appear as a religious or spiritual group, but they may operate as a commercial enterprise, diet or exercise program, therapy, political group or social movement. What all destructive cults share in common, regardless of the facade they present to the public, is essentially the same organizational structure, dynamics, and practices that exploit and hurt people. There is also a chapter included within Cults Inside Out specifically about failed interventions so that readers can see mistakes that may contribute to, or cause, failure. This chapter also very specifically defines the basis most commonly used to determine if an intervention has been a success or failure, which is based upon an objectively observed outcome by the conclusion of the intervention effort. You’ve seen them in movies and on TV, but cults are more prevalent than you think—and they’re armed with strategies that can brainwash and persuade even the most unlikely of candidate.